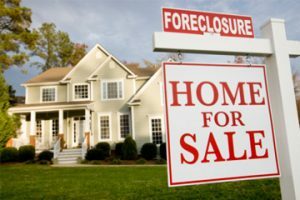 A foreclosed home may seem like a good deal, but it’s important that you are aware of the multitude of problems that it comes with. Buying a foreclosed home is one of the biggest discounts that you can get on the real estate market. However, there are several caveats, as you might already be aware of, when fulfilling this purchase. If you can bear the difficulties, it may be worth going through all the mess to achieve a successfully redesigned home. Here are some of the major issues when purchasing a foreclosed house. There isn’t enough to be said when it comes the maintenance and cleanliness of a foreclosed home. More than often, they’ll be in poor shape and require thousands of dollars of renovation to get back to decency at the least. However, this isn’t always the case as some foreclosed homes may still be structurally sound and require little maintenance – although this is a rare occasion. The longer a foreclosed home remains abandoned, the dirtier it will be. Vagrants, hooligans, and thieves tend to raid abandoned homes and do what they want with it. If you’re looking into a foreclosed home, all the muck and build-up will be your problem to deal with. Broken windows are quite common. Owner vandalism often occurs when the previous owner breaks a window to get back into the house to retrieve their goods. Not only this, but out of frustration and anger towards the bank, they may purposely trash the pace before they leave. Be sure that you inspect all the damages of the house before you close the deal. Even with all these cons, a foreclosed home can still be a beneficial purchase for you. Be sure that you inspect all damages and speak with neighbors or friends that have witnessed the previous owner that lived there so you can get a rough idea of what shape the home is in.